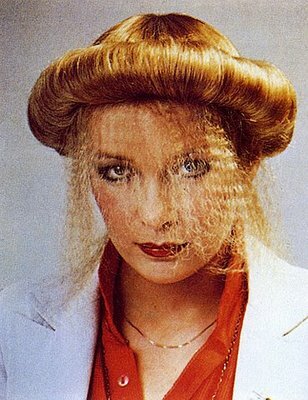 ok, first of all why in the name of all that is holy did this hairstyle ever happen? i mean seriously...who? what? where? when? and for fucksake WHY?!?! there is a crimped veil cascading around her fiznace from a ufo? a donut? secondly, why is it that i have vivid dreams when i am pre-menstral? i dreamt last night that i took the 2 inspiration pics for my pending haircut to the stylist and she just started cutting away...mainly focusing on the shorter style and when she was done it was shorter than the short style i had picked and i started freaking out! my hair...what did you do?!?! all that...of course it looked terrible. so i woke up second guessing this hair cut thing, which makes me mad b/c before i went to bed last night i was really looking forward to it. damn you hormones!!! it ROCKS!!!!!!!! go get it. 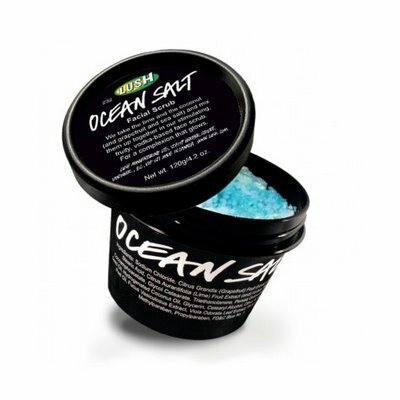 it's like the beach on your face (or body). in a good way. go get it. really. it's awesome. 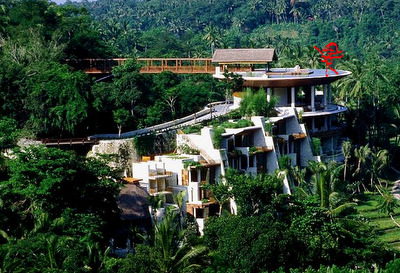 and lastly...this is the four seasons in bali.. and that's "me" frolicking in the pool up there. look at that place. holy crap. i need this pool today. i need it. it's 387482984hundred degrees here in atlanta.